Countless numbers of books and articles have been written about the secret of day trading, but in the end, all you need to know is that day trading is about trend, direction and timing. By focusing on what it’s really about, you can increase your success when it comes to making the right trades. Todd Rampe, creator of Pro9Trader, has managed to bring together all the essential elements of day trading while leaving out the unnecessary information. The good news for day traders is that charts are not created based on time or ticks alone. Instead, price data is spaced in such a way that consistencies are visible which help people make better-informed decisions about their trades. One powerful statistic when it comes to day trading is that roughly 80% of the trades that work are with the trend. While there are counter-trade strategies available that do work, for the most part if you go along with the trend you will be a winner. Playing the odds is a powerful part of day trading or any form of speculation, and with the smart money going towards trends, most of the time it pays to go with the flow. Understanding trend trading does take time as it is not just comprehending the theory, but gaining actual experience in your trades to broaden your outlook. It will take practice and a concerted effort to grasp the fundamentals of trend trading, but the end result will be enjoying greater success. Comprehending the trend is the first step, but in order to take advantage you will need to pull the trigger and make the trade at the right time. As Todd Rampe spells out in Pro9Trader, the essence of trading is knowing when to make the decision and go. Too many people sit back and let one opportunity after another pass them by when they should be trading more often. This is because if you understand the trends then you know the direction of the trade and once you have that information, then all that matters is the timing. Interestingly enough, it is the inability to make the decision to go that has become the sticking point for so many people. This is where Rampe’s Academy Day Trading course will show you how to spot, understand and take action when it is appropriate. What is Academy Day Trading? Creators of the Pro9Trader method, Academy Day Trading will help you see the trades that work best in your favor, read the right indicators and take action so that you can grab opportunities and not let them pass you by. The course will provide templates, chart settings and the priority rules of engagement so that you’ll know exactly what to do and when to take advantage of the right trade. The course is easy to follow with simple, understandable charts that provide exactly the information needed and nothing more. It’s little wonder that Todd Rampe has been repeatedly praised for developing this powerful system which has thousands trading with the best. 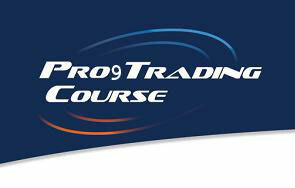 If you want to learn how to improve your day trading skills, then Academy Day Trading’s Pro9Trader course is for you. One of the things you will learn from Todd Rampe is that day trading can make you money. When you do it right, you will be able to earn a lot. One of the best things about day trading is that you are in cash at the end of the day and able to sleep soundly without unnecessary concern. A lot of people are interested in day trading due to the incredible financial benefits that it provides. A lot of people think that it is lucrative, easy, and simple. But the truth is that they need to learn how to day trade from a trading veteran, such as Rampe, first. That way they’ll learn and know the right approach to trading. One of the perceived benefits of day trading is that it removes the overnight risk due to fluctuation of the market. A market that closes at a new high might open the next day at a low level that wipes out several days of profits. Day trading makes a trader immune to political developments, disaster, or any news that can affect the price of a market. Day trading also provides an opportunity to leverage the capital investment. A lot of brokers provide their clients several times more than their capital margin. This gives the trader the opportunity to leverage the capital investment to control more than what is available. Through the methods developed by Todd Rampe, you will become a prudent trader who could potentially multiply one’s profit several times during the day. With just a small investment, you will be able to earn many times more profit compared to any other business with the same amount of investment. Of course, over leveraging is not advised for beginners. And that’s why you need to understand the concepts first, through someone who knows the business. One thing that makes day trading attractive to people is that it allows them to learn various trading techniques and patterns in a short period of time. It is the best way to reduce the amount of time needed learn how to make money in an efficient manner. And through the Pro9Trader course, the learning process has been simplified further. Day trading is something that people can do at home. It doesn’t require any investment in infrastructure, or expensive overhead, like most businesses. This is why so many people are interested in learning the “world’s best business”. And just like any other business, they look for ways to minimize their risks. This is where Pro9Trader comes into play. It trains ordinary people to take the fear out of trading and make smart decisions, only taking the high probability setups.